DTF Tax-Free Income, Inc. (the "Fund") was organized in November, 1991 and is a diversified, closed-end management investment company. The Fund’s investment objective is current income exempt from regular federal income tax consistent with the preservation of capital. The fund seeks to achieve its investment objective by investing primarily (at least 80% of its total assets) in a diversified portfolio of investment-grade tax-exempt obligations. DTF has Variable Rate MuniFund Term Preferred Shares (VMTPs) to leverage the common stockholders’ investment. The Fund may not invest more than 25% of its total assets (taken at market value at the time of each investment) in the securities of issuers in a single industry; provided that, for purposes of this restriction, tax exempt securities of issuers that are states, municipalities or their political subdivisions are not considered to be the securities of issuers in any single industry. Dividends will be declared and paid monthly on its common stock from net investment income. A program is offered for the reinvestment of dividends and capital gains distributions in shares of common stock of the Fund. This service is entirely voluntary and, subject to the terms of the Dividend Reinvestment and Cash Purchase Plan. Shareholders may join or withdraw from the Plan at any time. Please contact the Fund’s transfer agent, American Stock Transfer & Trust Company, for further information. 1 Special distribution represents long-term capital gains realized by the Fund. 2 Special distribution represents ordinary taxable income realized by the Fund. The following information is provided to assist you in the preparation of your federal and state income tax returns. Dividends of net investment income paid by the Fund are exempt from federal income tax to the extent attributable to interest received on tax-exempt securities. In addition, you may be exempt from state and local tax on the portion of dividends paid by the Fund which is attributable to interest income from municipal bonds issued by your state of residence. Please consult your tax advisor or state/local tax authorities to properly report this information on your tax return(s). If you have any questions concerning the amounts listed or would like specific monthly breakdowns, please call 1-888-878-7845.
Credit and Interest: Debt securities are subject to various risks, the most prominent of which are credit and interest rate risk. The issuer of a debt security may fail to make interest and/or credit payments. Values of debt securities may rise or fall in response to changes in interest rates, and this risk may be enhanced with longer term maturities. State and AMT Tax: A portion of income may be subject to some state and/or local taxes and, for certain investors, a portion may be subject to the federal alternative minimum tax. Tim Heaney heads the municipal bond strategies area of the Duff & Phelps' fixed income team. He serves as Chief Investment Officer of DTF Tax-Free Income Inc., a closed-end fund traded on the NYSE (symbol: DTF). 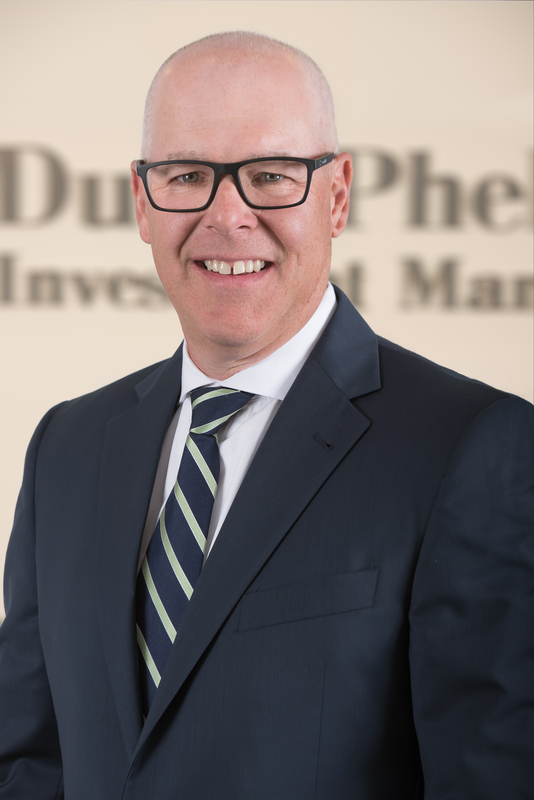 Mr. Heaney is also responsible for the municipal bond areas for Duff & Phelps' affiliates, Virtus Investment Advisers, Inc. and Newfleet Asset Management, LLC. Mr. Heaney holds a Chartered Financial Analyst designation and BS and MBA degrees from the University of Connecticut. Prior to joining the Virtus organization (formerly part of the Phoenix Companies) in 1992, Mr. Heaney was a credit analyst with Connecticut National Bank.